Looking for crystals for studying, mental focus or memory? These stones can help if you are a student taking exams, or if you are learning something new or researching anything. Quite a few of you lately have been asking me about this subject so I want to cover it in an article for you. There are a few crystals I think will help you with study, focus, memory and retaining information. As always you can use one or a combination of crystals for your needs. Go with what suits your situation or which ones draw you and do not feel you need all these crystals. One may be enough. Never underestimate the power of Clear Quartz! It doesn’t need to be completely clear to work well for this, but make sure a good portion of the crystal is clear. 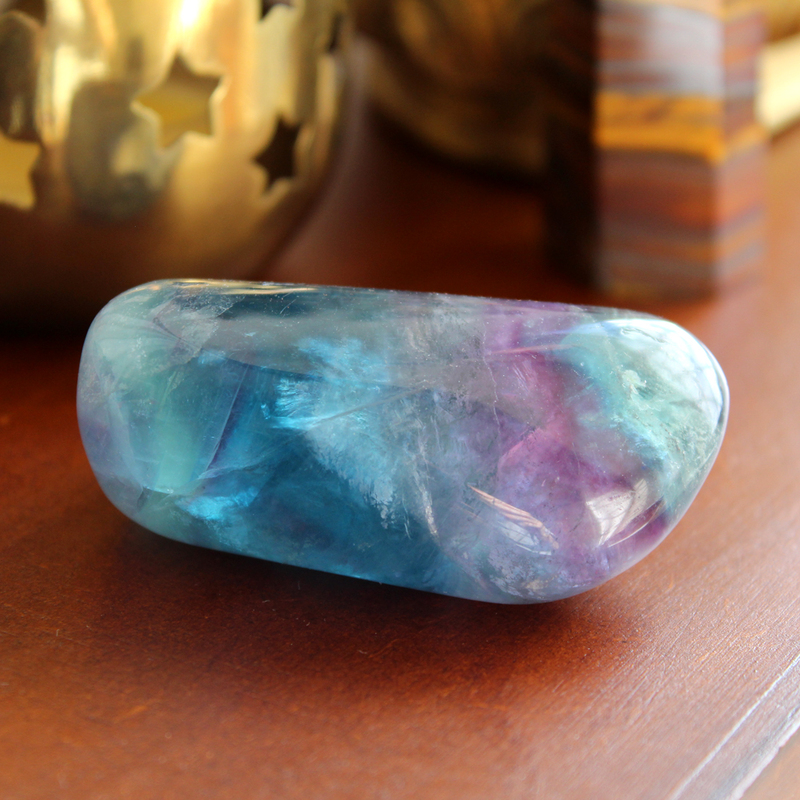 This crystal will bring you mental clarity, greater focus and help you retain information. Try a Quartz Crystal Sphere on your desk area. I also highly recommend a small raw or polished Clear Quartz Crystal Point for study purposes. You can wear it around your neck or carry it with you in your pocket. 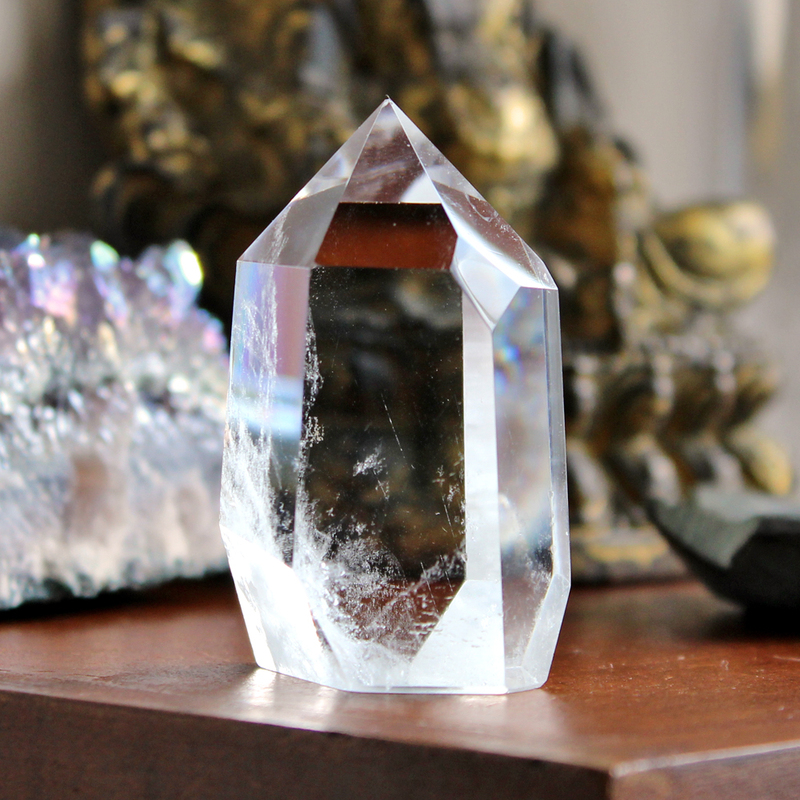 Tip: Keep the same Quartz Crystal Point with you as you study. Then have it with you when you take exams or need to access the information. 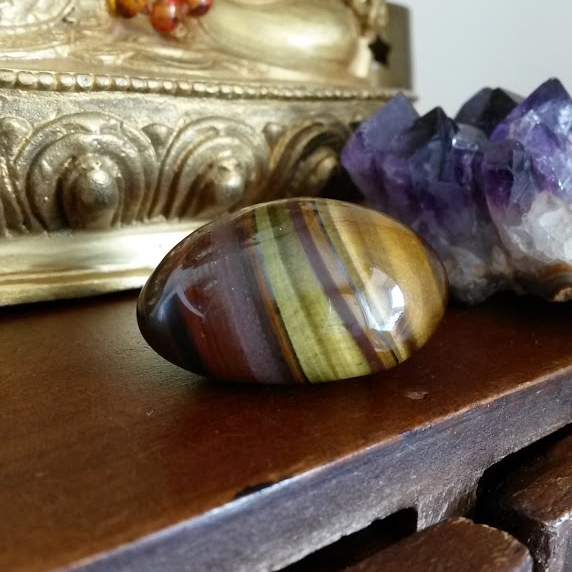 Tiger’s Eye is a great stone for study and research. This golden crystal helps you stay focused, when there is a lot of information to absorb. It can help you filter out mental distractions. It is also good for researching anything. Tiger’s Eye helps you make sense of information and using it in a practical way. Turquoise is a good stone to also help keep your mind and thoughts clear. It has been included with these crystals for studying because it is also one of the best crystals for stress and worry. Something you may be experiencing with academic study. This blue stone absorbs these lower energies like a sponge. A good stone to have on you during a test or an exam. Fluorite is a true crystal of the mind. You can use this crystal for support while doing all forms of research. Fluorite can also be used for increasing mental focus during study. Any colour or colour combination is suitable, choose what you are drawn to. Another blue crystal. Blue Scapolite is not so easy to find anymore but another helpful crystal. 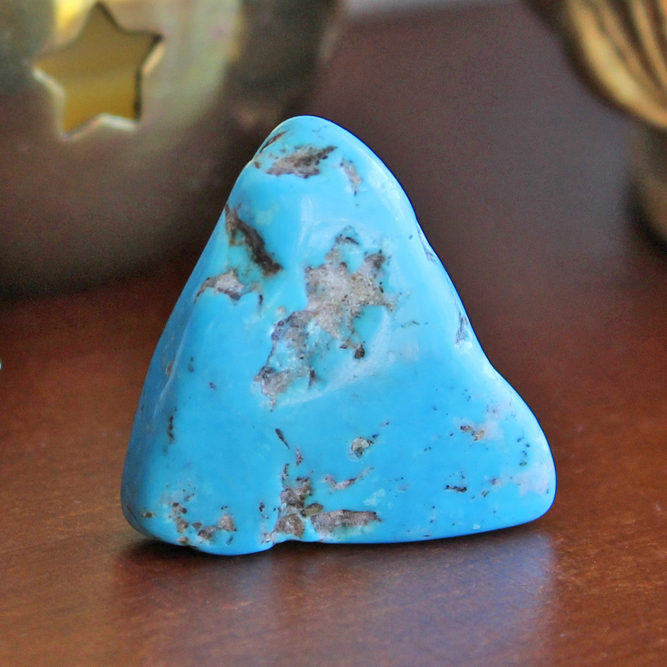 This stone is a support for studying and helps with multitasking. This is an ideal crystal to have when working on projects that require using lots of information. 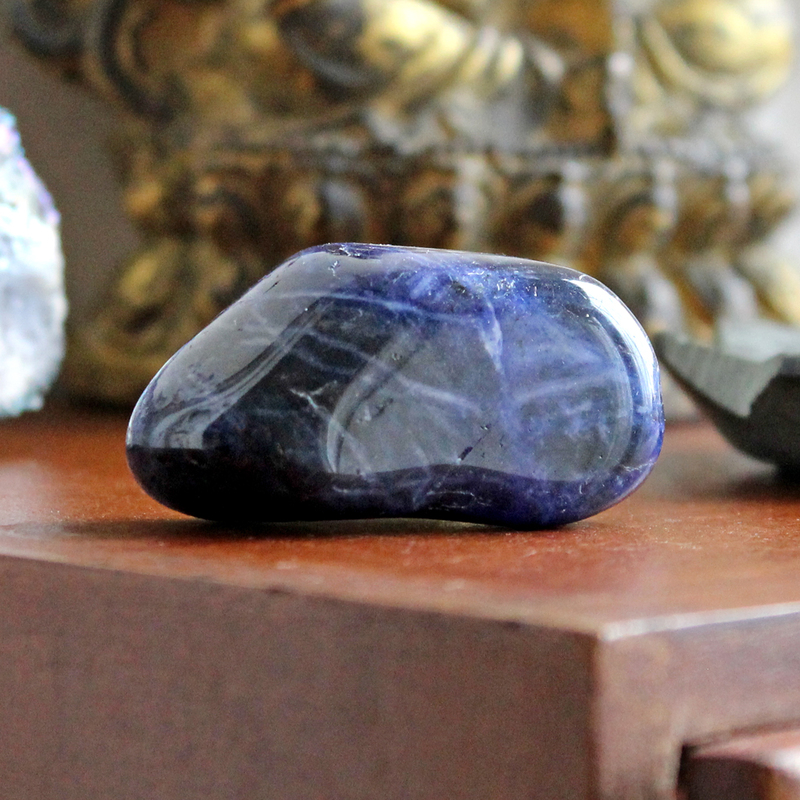 Sodalite is an indigo blue stone with contrasting white and light blue veins. This crystal clears the mind and brings insights and understanding to you. 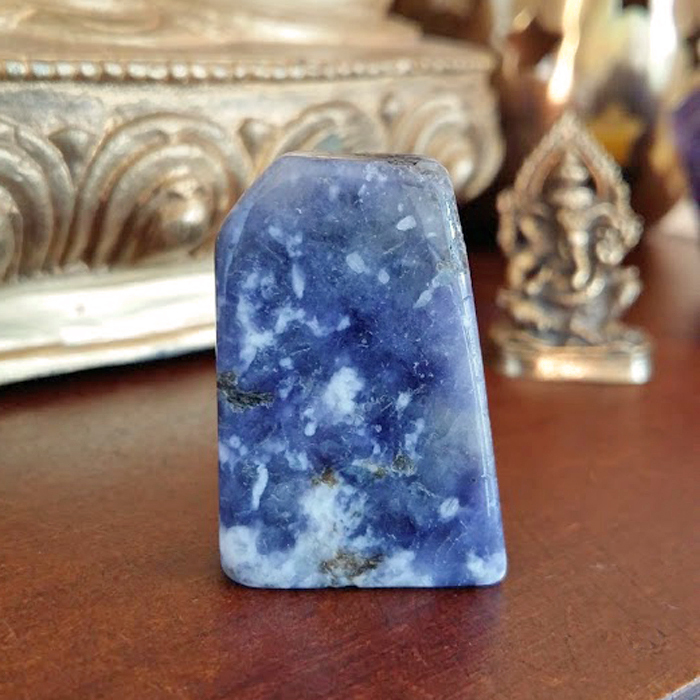 Sodalite will help you combine logic with the help of your intuition which can lead to important research breakthroughs. How have you used crystals for studying? I would love to hear from you in the comments below (Please keep any questions you have on topic if you want a response). Thanks, I’m thinking of going back to school, so I, think I may try some of these. Any suggestion on how to work with them best. Would they do best as a necklace around your neck. I find it hard to figure the best way to use them. They are all nice looking crystals. One question, what about crystals for those of us who suffer with learning disabilities. Mine happens to be sever dyslexia, trouble understanding what I read, impossible to keep things in long term memory, which makes me feel so useless, as nothing I learn sticks with me, and are there any crystals that help with hand writing. I can’t read my own hand writing. I get so discouraged. I have had professional help, which helped, but now I’m at square one and things are worse. Any suggestions. Thank you for this post, Ethan! I wanted to ask you, can clear quartz in some other form (a sphere, and egg) serve the same purpose as a crystal point? A Sphere would be good for focus. I did’t mention in the article because they are not as portable but I have now added it as it is another good option. I understand. I own a sphere, and asked you because I wanted to know if I could make do with it! I have been keeping it on my desk for some time. I felt very childishly happy to see that’s what you’ve added! Thanks Ethan. Always love reading your posts. Helpful information as I have been feeling very scatter brained lately. I loved your article! I like how you also included a stone that is a little more rare than the others, I think those obscure crystals get left out too much! Thanks for sharing! Hi Steph, all these crystals and tips are just options for you. You can use as many or as little as you wish to. There is no right or wrong way just do what feels right for you and what works for you. Any Turquoise blue to green will work the same way in my opinion. Good luck! hi dear , i am having problem with my concentration could you refer me any stone please. 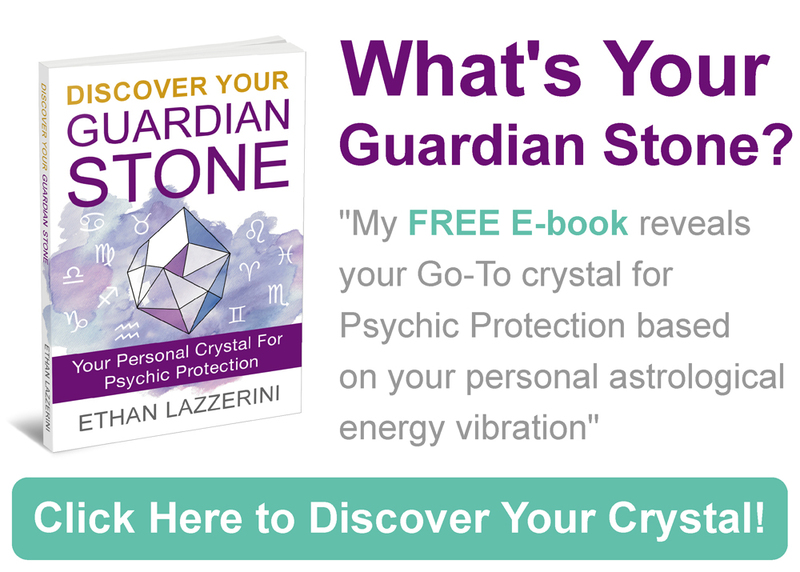 There are lots of crystals in this article that may help you with mental focus and clarity. Just read the descriptions of the stones above and or go with the one that attracts you the most. How do I know which pocket to put my crystals in, can’t wear a lot of jewelry to work. Some say that the left side absorbs energies more but I think it is really up to you. Once it is within your aura the crystals will be working for you. I use green calcite and clear quartz together on a regular basis during practice. Green calcite balances and calms your energy. Helps with a nervous stomach. Releases old mental patterns. Healer in times of transition, readjustment and mental changes. Cody, pretty sure that’s amethyst in the back ground. Awesome post! Still I have a question, which shape of fluorite should I get for my desk? A point or egg shape? Which one would work best? I’m confused about the different shapes. Thank you! Hi Anna, you could use either but I think a Standing Crystal Point would be the better option. Yes, try any they all work with the mind and memory. Hope they help. Hi i need stones that are good for studying. Would combining tigers eye, clear quartz, socialite be a good idea, I have all these as tumbles. My memory is terrible. I forget and lose things all the time. Does this also help with losing things? Actually, I am getting worried my memory is getting so bad. I read, study alot, research my interest in hobbies, crystal collector as well. Yes, you can combine two or more crystals if you want to or feel guided to do that. Also look into foods and exercises that support better memory. Hi Ethan. Thanks for this wonderful post. I wanted to know if I can use a combination of more than 2 crystals (tiger’s eye + crystal quartz + carnelian +snowflake obsidian + fluorite and blue Scapolite). I’ve short listed these many because they’re separately serving my purpose. Secondly, do Crystals/stones have anything to do with one’s birth chart/zodiac sign/horoscope? And lastly, would these energies conflict with each other? And also in what shape, size and weight are these to be worn? Yes, you can combine these if you want to, all are very compatible as they support the same intentions. Some people use astrology but most people in modern day crystal healing choose by properties and need. Please visit my Resources page at the top for the other questions which are covered in detail in other blog posts. I just want to ask if I can buy a crystal stone for studying for my kids?. I am an OFW here in Hong Kong and my kids are in the Philippines and can i program it for them for there study? Yes, that is perfectly acceptable. I would tell your kids the stone is to help them study or lucky in study when you give it to them. Is there a place you recommend to purchase crystals from, preferable online? Obviously sometimes it’s difficult to find the time to travel to a store, but I understand that choosing the crystal you feel most drawn to is important too. One astrolleger told me to make my daughter wear carnellian bracelet for her studies but in your edition i couldnt found the one.what would i have to make my 14 year daughter wear for getting love and concentration and motivation toward her studies.which she lacks.but is very brilliant. There is no way for me to know why an astrologer recommends something, this isn’t astrology. Also, blog posts like this are not a definitive list, it is just some of my recommendations. If you look online for any subject you will see many different opinions. I do use Carnelian for motivation, but this article wasn’t about that specificly. Sorry, I don’t believe in picking crystals for people. It’s up to you or your daughter to pick a stone based on the properties or which they are naturally attraced to. Also, it can be very hard to get results with crystals if the person does not want to change what they are doing.